PC/104 Isolated 50W Power Supply - RTD Embedded Technologies, Inc. 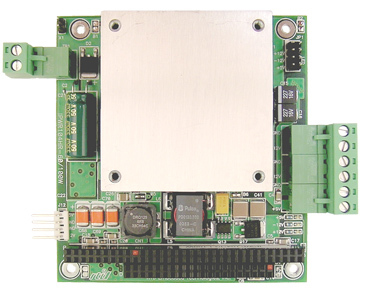 The RTD IPWR104HR embedded power supply module provides an elegant solution for PC/104 systems requiring an isolated reliable power supply. The wide input voltage ranges of 9 - 36V will suit applications ranging from communications to aviation. 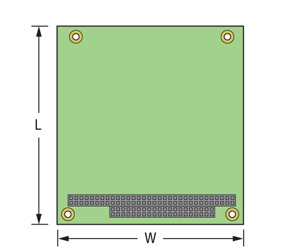 The IPWR104HR is available with a wide operating temperature range of -40 to +85 C. Power from the module is delivered to the PC/104 bus as well as to the card edge terminal blocks. Output voltages include +5 at 10A, +12V at 2.0A, -12V at 500mA and -5V at 100mA (50 Watt 5V only and 45.85 Watt maximum combined output). These outputs are connected to the PC/104 bus as well as terminal blocks.